Brooklyn has a distinct story to tell in the history of social justice. 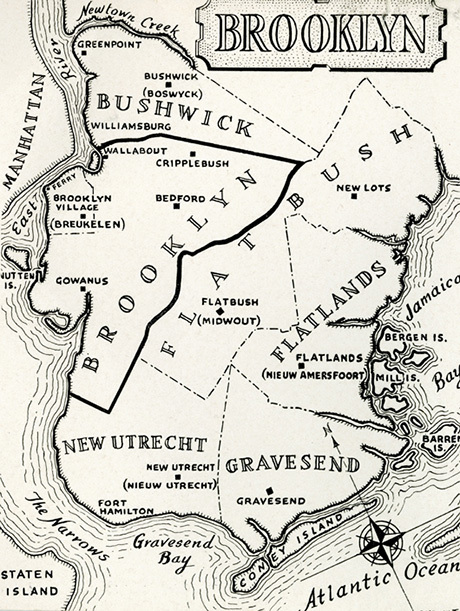 From 1783 to 1865, Brooklyn transformed from an agricultural slaveholding capital to the third largest city in the United States fueled by the business of slavery. Against this backdrop, the city’s anti-slavery activists and radical abolitionists led the struggle for social and racial justice. They created local, regional, and national networks of political solidarity to advance their anti-slavery agenda. But their vision of a culturally diverse society threatened a nation deeply rooted in racism, inequality, and the politics and economics of slavery. While figures such as William Lloyd Garrison, Frederick Douglass and John Brown have come to dominate abolitionist narratives, they were joined by countless others who also fought for an end to slavery and whose important contributions have been largely forgotten. In Pursuit of Freedom highlights just a few of these ordinary men and women, black and white who came from all walks of life – educators, homeowners, businesspeople, church leaders, journalists, and writers. Through courage and conscience, the residents of neighborhoods we now know as Brooklyn Heights, Downtown Brooklyn, DUMBO, Fort Greene, Vinegar Hill, Weeksville, and Williamsburg insisted on an immediate end to slavery and demanded legal and political equality for all Americans. Brooklyn’s abolitionists and anti-slavery activists actively shaped the history of both the city and the nation. Click here to read Brooklyn’s abolitionist biographies. Image: Brooklyn (Breukelen). Brooklyn Eagle. 1946. F129.B7 B766 1946 c.2.